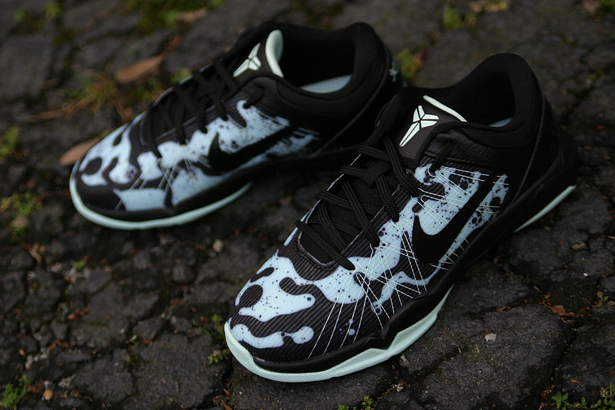 This mint-flavored Kobe VII is not only part of Nike Basketball's "Easter Pack," but it also jumpstarts the signature line's "Poison Dart Frog" series. 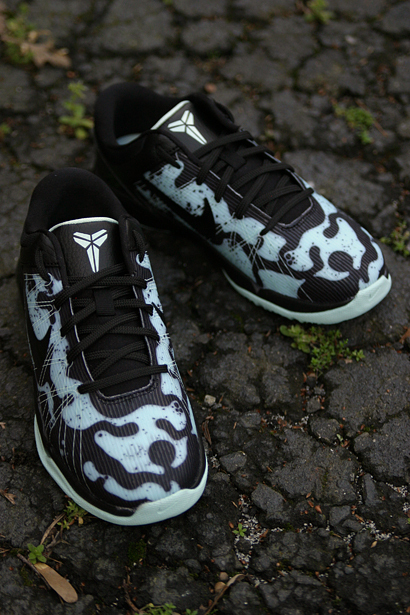 This mint-flavored Kobe VII is not only part of Nike Basketball's "Easter Pack," but it also jumpstarts the signature line's "Poison Dart Frog" series. 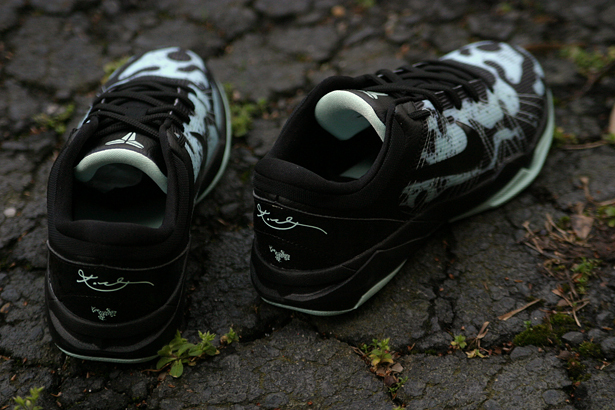 Preceding the "Lakers" and Black/White/Red/Blue colorways, this pair features a Mint Candy and black scheme, the upper styled after the unique skin patter of the Green Poison Arrow Frog. 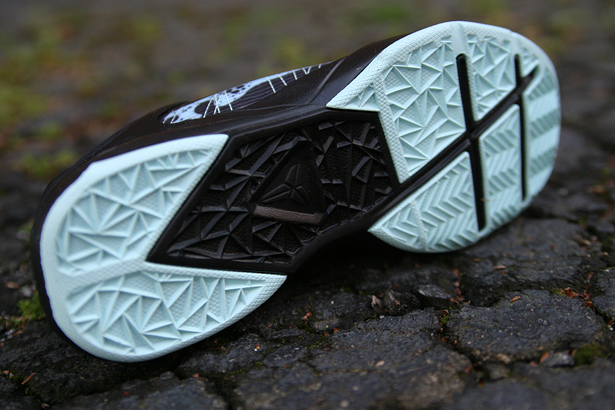 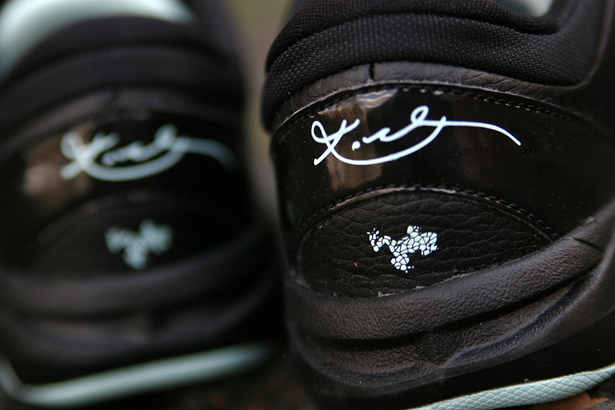 Black also works the tongue, laces, lining and heel, while a predominantly mint rubber outsole wraps things up below. 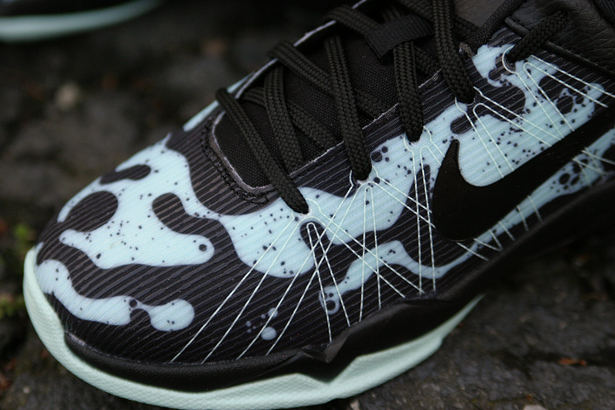 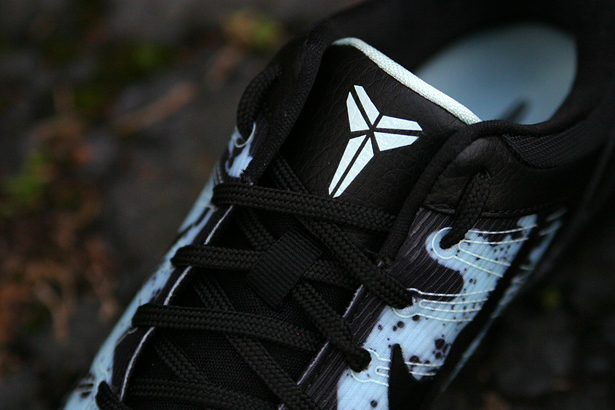 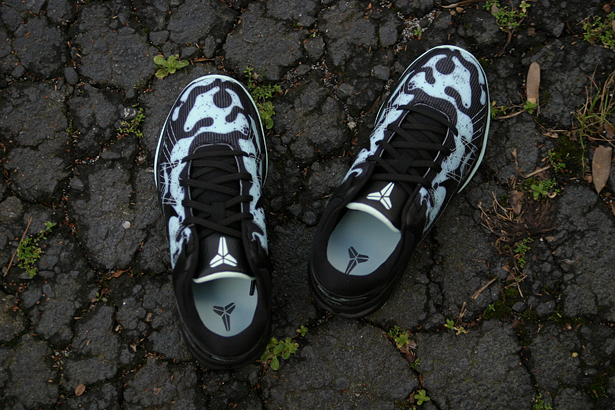 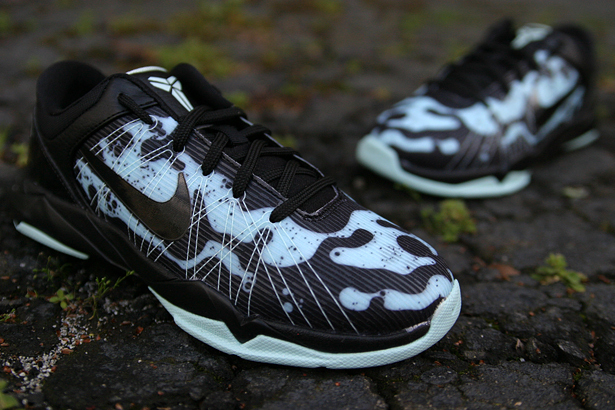 Pick up your Poison Dart Frog "Easter" Kobe VIIs on Friday, April 6th. 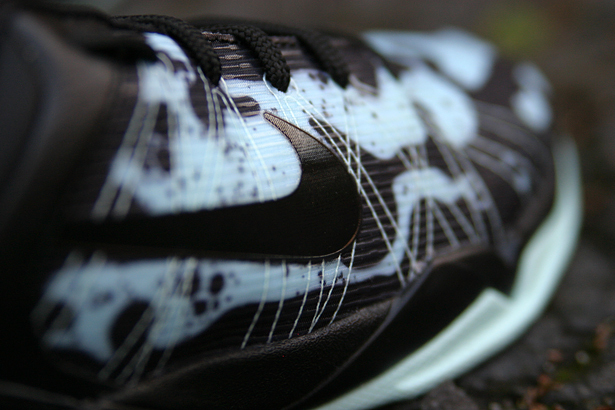 The model will also be available in grade school sizes, pictured in detail here.